​Like any hiring, ask a lot of questions. MJS is happy to answer any of your questions and will make a visit to see if they and the pet are compatible. 1. What are the advantages of using a pet sitter? Dogs and cats are more comfortable in their own home, in a familiar, secure environment, where all the sights, smells and sounds are familiar. The customary diet and exercise routine is maintained. No transmitting of diseases from other pets in kennels. No transportation of pets to kennels or being traumatized by travel. Most importantly, the pet receives love and personal attention while the owner is away. 2. 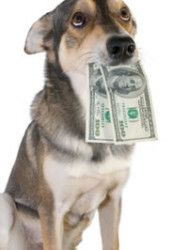 What are the benefits for the pet owner? Home security. You won’t be inconvenienced or upset by transporting your pet. You don’t have to impose upon a friend, neighbor or relative (who sometimes forgets.) Your home is made more secure by the crime-deterring measures provided by most pet sitting services. The pet owner can leave home with the confidence that his or her pet is in capable, caring hands. You can utilize other special services offered, such as watering plants, bringing in the mail and newspaper, taking trash to the curb for pick-up and filling bird feeders. Also, if your pet becomes ill, your pet sitter will take it to the vet. 3. What is pet sitting? With the growth of professional pet sitting as an accepted business, home and pet owners have become more comfortable with utilizing professional pet sitters while they are away. The pet(s) remains in its natural and familiar living environment. A pet sitter will visit your house and take care of your pet(s) whatever number of times a day you request. As mentioned before, pets don’t have to adapt to new surroundings and be subject to illnesses from other animals. Someone you trust will be making sure that your pet(s) and home are safe and secure. The pet sitter will turn lights off and on (and in this technological age, activate and deactivate alarm systems); bring in the mail and newspapers, saving you the trouble of going to the post office to put a hold on the mail and then going back there when you return to retrieve the vacation mail. If you want, you can catch up on all the news you missed while away by reading the back issues of the newspapers. Trash will be taken to the curb, so no one will realize you’re not home. Most importantly, your pet(s) will become more comfortable with the pet sitter and view him or her as the one who is walking and feeding them. They will greet the pet sitter with tail wagging and friendly greetings. As the pet sitter sees the role as a job, he or she will not forget the responsibility and promise to you and your pet(s). 4. How do I know a pet sitter is good? Like any hiring, ask lots of questions. MJS Pet Sitting is happy to answer any of your questions. As the profession has developed, so has certification. Make sure the pet sitter is bonded, has commercial liability insurance and can provide references. Give the pet sitter a chance to interact with your pet(s), and especially if your dog barks at anyone who comes to the door. You want to see how the pet sitter deals with the dog and gains the pet’s confidence. Have the sitter come over a couple of times before you leave on your vacation to see how the rapport develops among the sitter and pet (s). If your pet needs medication or shots, ask if the sitter is comfortable administering medicine and giving shots. 5. How do I know what a good fee is? Services offered, as well as the fees charged, may vary widely. MJS Pet Sitting offers fair and competitive pricing. Use the form on the Contact us page for quotes. Up to two dogs is $13.50/visit.